That cover illustrates part of why I rate him: having written some of the most acute satires of the time, he packages it like a Top of the Pops album from the 1970s. That's just magnificent, drawing inspiration equally from high politics and low culture. And, as I've written here before, he was one of the few to comment intelligently about Gary Glitter, back in the days when Glitter was the great tabloid hate-figure. I've loved Brown's writing for so long that I was deeply apprehensive when I heard he was reviewing my book A Classless Society for the Mail on Sunday. With all due respect (as footballers say, but in this instance meant sincerely) to anyone else who might read the book, it was his good opinion that I really wanted. 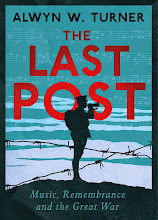 And, happily, here's his review: 'the field of instant history now attracts some of this country's liveliest and most intelligent writers [and] Alwyn W Turner ranks high among them: ravenously inquisitive, darkly comical and coolly undeceived.' He says more nice things as well, and he gives the book five stars. 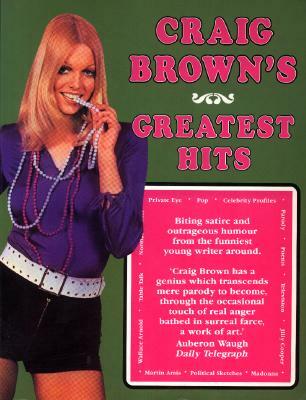 Five stars from the man who created the TV parody Norman Ormal, one of the definitive works of the 1990s! I'm overjoyed. I'm very grateful to Mr Brown and to the Mail on Sunday. Nice too that they mentioned my forthcoming appearance at the Henley Literary Festival. I like that. Particularly the 'elephantine' bit. My thanks to Andrew Neather for a fine review in London's Evening Standard of my book A Classless Society, and to the paper for splashing it so big. He quite reasonably points out that it's a bit early for a definitive account of the 1990s, but concludes that the book is 'a very credible first draft'. He says I have 'a good ear for political gossip', and he singles out for mention the 'entertaining chapter on the royal family' - which is probably my favourite bit. My thanks to him and to the Daily Mail, for their continuing support. Richard Ryder had perhaps the most thankless task in modern British politics: he was the government chief whip while the Conservative Party was ripping itself to shreds over the Maastricht Treaty. It might reasonably be assumed, therefore, that he doesn't have particularly fond memories of the 1990s. And that certainly seems to be the tone of his review in The Spectator of my book A Classless Society. He doesn't say much about the book at all, in fact (though I'm pleased he shares my enthusiasm for A.N. Wilson's novel The Vicar of Sorrows), but at least he doesn't say anything negative about it. My thanks to Mr Ryder and to The Spectator for their coverage. David Blunkett was on Today this morning talking about the state of the Labour Party, and he suggested that Ed Miliband's uncharismatic placidity was reminiscent of Clement Attlee. It's a comparison that has been made by others - most notably by Ken Livingstone - and it's easy to see the appeal of such a claim. But does it hold water? To start with, there are difference of experience between the two men. Attlee had been an MP for 23 years by the time he got to be prime minister; assuming Miliband wins the next election (which I've never believed), he'll have been an MP for just ten. Attlee had served in the governments of Ramsay MacDonald in the 1920s and '30s, and been deputy prime minister for three years under Winston Churchill; Miliband had less than two years as secretary for energy and climate change under Gordon Brown. If one were being cruel, one might also add that Attlee saw active service - and was wounded - in the First World War, at an age when Miliband was the junior member of Gordon Brown's inner circle. If you were drawing up a dream team from members of Attlee's cabinet and Miliband's shadow cabinet, how many of the latter would you include? Following hard on the heels of David Aaronovitch's review comes Dominic Sandbrook's take on my A Classless Society, this time in the Sunday Times. And I'm very happy to say that he likes the book more than Aaronovitch does: 'tremendously entertaining,' he says. That's pretty much what I try to aim at. Aaronovitch complained that I didn't include enough comments by 'sociologists, demographers, statisticians or academics', but I'd rather have the book described as being 'enjoyable'. My thanks to Mr Sandbrook and to whoever at the Sunday Times made it the lead review for the week. The first official review of my 1990s book, A Classless Society, is published in today's issue of The Times. Sadly, David Aaronovitch isn't impressed. He evidently doesn't share my belief that popular culture not only reflects social change but shapes it. 'If you believe this,' he writes, 'then Jack Dee, say, becomes as significant as the Governor of the Bank of England.' Or indeed, I'd suggest, quite possibly more significant. To take a longer perspective (because Jack Dee may not prove to be the key figure), I'd certainly argue that Spike Milligan changed Britain more than did Cameron Cobbold. The latter, in case the name's not immediately familiar, was Governor of the Bank of England in the 1950s during the period that The Goon Show was laying the foundations for the cultural revolution that was to come. Inevitably, as always with reviews, attention is drawn to those things I neglected to mention. There's no reference, as Aaronovitch points out, to Srebrenica. He's probably right and there should have been, but I was trying to keep my focus on Britain, and there's a limit to what you can include. By the same token, one might point out that, so keen is Aaronovitch to attack my criticism of Tony Blair, that he doesn't once mention John Major, whose government occupies more pages than does that of Blair. Ah well. He does at least say that my writing is 'amusing [and] perceptive', and that goes a long way, as far as I'm concerned. And the review does take up a full-page at the front of the books section. Above all, I'm grateful to Mr Aaronovitch for taking the book seriously enough to criticise its failings. My thanks to him and to The Times. 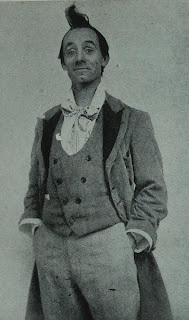 I was reading about the music hall legend Dan Leno last night, and found myself regretting that Doctor Who wasn't around in the 1890s to avail itself of the services of the greatest comedian of his era. Where's the secret of time travel when you need it? And, on the subject of the good Doctor, I shall be signing copies of my Terry Nation book at a Doctor Who event in Norwich this Sunday afternoon. If you look out for the long queues - they'll be for Colin Baker. I'll be the one sitting quietly in the corner. The world of comics isn't exactly my specialist subject, but I do read, own and greatly like the work of the great Alan Moore. ...The good news came in 1992 when it was announced that production of Lymeswold was to cease. The product had been launched with great fanfare a decade earlier, the first new British cheese for two hundred years, at the behest of the Milk Marketing Board and with the endorsement of the agriculture minister, Peter Walker. It was given a fictitious name that was supposed to evoke an ideal English village ('The Americans are crazy for that sort of thing,' explained a sales director, as British hearts sank) and, rather implausibly, it was intended to be capable of exporting to France, as though that country didn't have enough creamy blue cheeses of its own. This latter aspect of the project foundered almost immediately when it was discovered that that the word Lymeswold was virtually unpronounceable for the French, but even a rebranding overseas as Westminster Blue didn't help since the product itself was so bland and tasteless. The domestic market was similarly unimpressed, particularly since Lymeswold was more expensive than many imported French cheeses. After a decade of underperformance, the Milk Marketing Board gave up the struggle and closed down the factory in Birmingham that had been making the stuff, with the loss of thirty-eight jobs. Even beyond such mass-market monstrosities, there were major structural problems with the cheese industry. Britain was importing five times as much 'cheddar' from its European partners as it was exporting, and unpasturised cheese had almost entirely disappeared, hunted out of existence by officials concerned that it breached health and safety guidelines. A 1993 episode of the Lenny Henry sitcom Chef! was centred on the search for under-the-counter unpateurised Stilton.